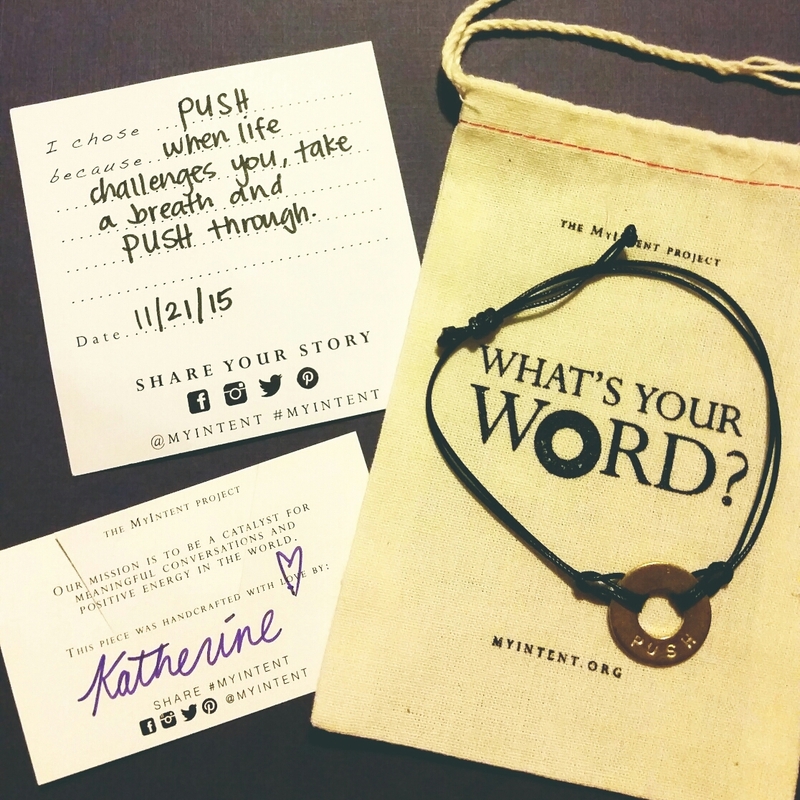 MyIntent – PUSH – It's With a "K"
As I was browsing the Instagram “Explore Posts” section I stumbled upon this account called MyIntent. They personalize bracelets and necklaces with positive words or short phrases of your choice. I love the simplicity of an engraved washer on a string or chain. I bounced back and forth between the word I chose and the Tagalog word MANALIG – which means “to trust or have faith in; believe”. But I decided that I really want MANALIG on a Giving Keys bracelet. The word I chose was PUSH. I first came across that word on a Filipino soap that I watch, “On The Wings of Love”. The female lead’s mantra is “Achieve. Ikaw na. Juicecolored. Push.” PUSH has stuck with me since. It easily applies to situations where you just need that extra oomph. Life gets tough, PUSH. Frustrated with something, PUSH. Anger getting the best of you, PUSH. Two plus two isn’t equalling four, PUSH. Negativity out weighing positivity, PUSH. In other words, don’t dwell on the things that can bring you down, and when challenges arise, dig deep, and PUSH. I chose their leatherette bracelet. I absolutely adore how it came out. They ship right out of Los Angeles and it was packaged all sorts of cute. It also included a card signed by the person who engraved it which is nice to hold on to. A story card for me to fill out was included as well.